Last night's dinner at the Steak Pit was for the faculty - a celebration for the instructors of the conference. Looking around the table, and realizing all the incredible things this group has accomplished, was quite humbling. Here is a brief synopsis of some of the fine folks with whom we spent the evening. Dr. Joe Serra, although retired, continues to work in conjunction with Rotary International to raise money for wheelchairs for children in Africa and Guatemala. Last year, this group sent an entire container of wheelchairs to Africa! Listening to Joe talk last night about his recent trip to Guatemala was so endearing. He was sharing how mothers literally carried their teenage children to the wheelchair give-away, as they most likely have carried them their entire life! They are all so grateful to receive a wheelchair. And it's all free for the families. 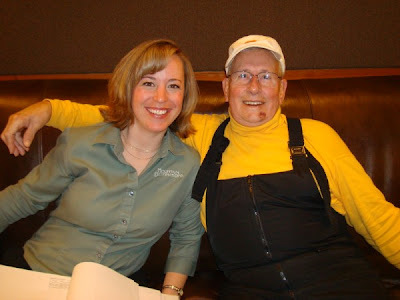 Dr. Howard Donner - To understand (and love) Howard, you must meet him in person - he is quite a character! Howard spends most of his time traveling the world - he just recently returned from Patagonia - practicing expedition medicine. He also acts as a consultant for the NASA space program, and was a member of the 1997 Nova Everest Expedition. When he's not working, Howard hangs out in Truckee with his 7- year old son. Dr. Michael Van Rooyan is an Associate Professor at Harvard Medical School and the Harvard School of Public Health. Michael founded a 400-bed hospital in Haiti, from where he just returned after seeing the hospital completed for the first time. Dr. Geoff Tabin is Professor of Surgery and Ophthalmology at the University of Utah School of Medicine and Co-Director of the Himalayan Cataract Project. Dr. Tabin is quite the accomplished climber as well, and is only the fourth person to have climbed the "7 Summits," - the highest point of all seven continents. Dr. Tabin spends time traveling the world to assist with expedition medicine - and in a SINGLE day while in Africa - he performed 80 cataract surgeries! He was also recently on the cover of the National Geographic Adventure Magazine. Dr. Gene Allred is the Co-Director of Wilderness Medicine and responsible for putting together this high-caliber list of doctors. 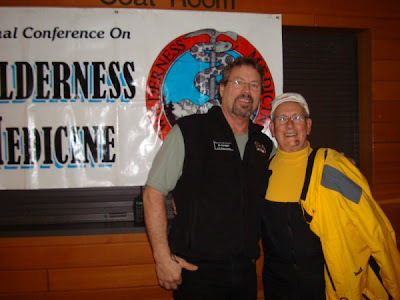 Dr. Allred has been teaching Wilderness Medicine courses for over 25 years and is also a professional whitewater and mountain guide - and always with a smile on his face! I love the lingo of travel codes; this article tells you how your bags end up in Dayton Ohio instead of sunny Florida! As Mountain Destinations and A Meeting by Design have worked on integration of the latest web 2.0 technologies we've been asked the question by our clients, comrades and fellow business owners "so is it working"? Like many others I find myself as mystified by the question as I am unsure of the answer. I have decided to reach out to our friends and followers to ask what value you see in your own and is there something particular in our messaging you'd like to hear about? One item we'd love you to hear about is the new National Park to Park tours we've just introduced with our partner transportation company. Stragely enough Montana and Wyoming are known for three of the most incredible parks in North America, Yellowstone, Teton and Glacier Parks, but the states have never offered packaged tours for fly or drive in- check out the beginning of the project as we are building the first tours at www.mtnreg.com/parktours. We'd love to hear from you on areas of interest or articles you'd like to see! The past, the present and the future are really one - they are today. 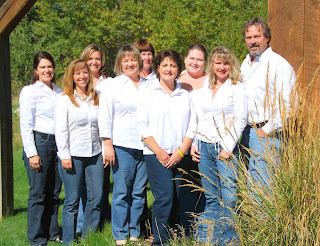 The staff at Mountain Destinations (http://www.mountaindestinations.com/) would like to begin by saying THANK YOU to our valued clients for their commitment to us! We appreciate our relationship - and we are grateful for your business! ...and we lived to tell about them all! April - Stanford Emergency Medicine Conference in Maui, Hawaii. May - Wilderness Medicine held their spring conference in Santa Fe, New Mexico. 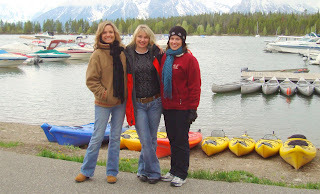 Katie Walters, Veronica Haynes and Kristen Griffin (photo: left to right) went on a "Site Visit" to Jackson, Wyoming with a tour of Grand Teton National Park. Here we are, at Colter Bay on Jackson Lake as Mount Moran hid in the clouds behind us. Shortly after this photo, we boarded a boat, bound for a western-styled dinner on Elk Island, but alas, we were rained out - better luck next time! Amongst all the "regular" work, we packed up and moved into our new building - 380 Ice Center Lane - Four Corners Professional Building - stop by and visit next time you're in our neck of the woods! 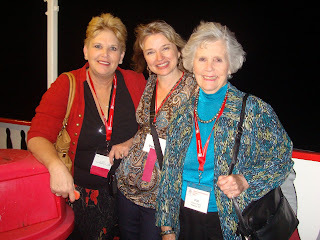 In this photo, Kathy Votaw (Executive Director of Radiation Research Society), Veronica Haynes (General Manager of Mountain Destinations), and Pat Failla - enjoying the Failla Welcome Reception aboard the Savannah Queen Riverboat (http://www.savannah-riverboat.com/). 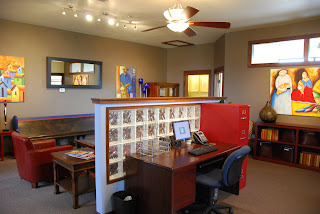 The Travel Station (http://www.thetravelstation.com/), another one of our sister companies, merges with Cook Travel of Billings, Montana - a travel institution since 1917! ...where our "Family of Companies" - The Travel Station, Cook Travel Station, Mountain Destinations and A Meeting By Design - are most thankful that 2009 ended on steady ground, and that all of our employees and their families are healthy this holiday season. We are thankful for the everyday gifts that are often overlooked - food to nourish us, clothing to warm us, housing to shelter us, and the camaraderie of our team to comfort us and support us when the going gets rough. 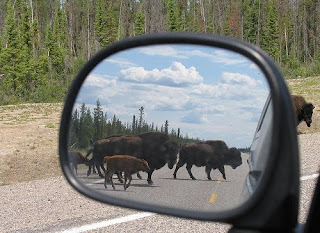 What will we see when we glimpse into the rearview mirror at the close of 2010? Only time will tell, but if it's half as good as this rearview glimpse, we will once again, be fortunate, indeed! Merry Christmas from Mountain Destinations! We hope you enjoy our new promo video!